In 2054, military tech has advanced in ways we might not be able to imagine right now, but are rooted in today’s designs. Liquid matter loaded into the assault rifle is printed as real ammunition which should dramatically reduce reload times. This is the same plasma rifle seen mounted on an SUV in Advanced Warfare’s debut trailer. 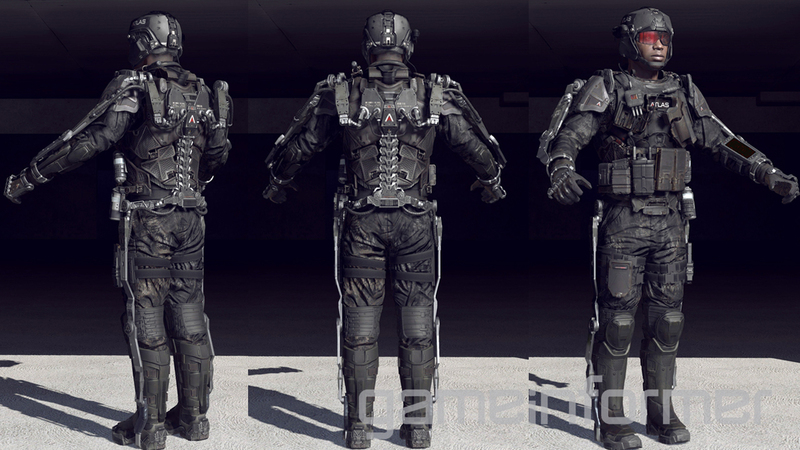 Advanced Warfare’s EXO suit will offer players enhanced in-game abilities, including extra strength, boost-jumps, boost-dodge, and much more. The EXO suits in Advanced Warfare carry a smaller battery size than the prototypes in development today, increasing player mobility drastically. You can read all about what it can do in our earlier report. Inspired by a fusion of the motorcycle and snowmobile, Advanced Warfare’s hover bike features a windshield composed of “smart glass” that allows UI to meld with others in the game. 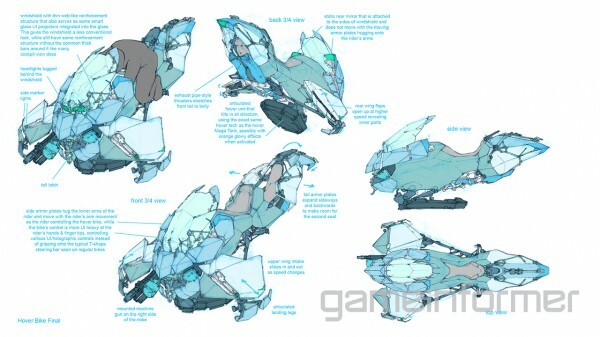 It’s angular armor is designed to deflect enemy fire and shifts as the bike moves. It’s seen hovering about Detroit in Advanced Warfare’s debut trailer. Aircraft in Advanced Warfare is designed to better withstand explosives and projectiles. Sledgehammer predicts that aircraft in the future will take-off vertically, eliminating the need for runways. Sledgehammer says that all types of future tech will be embedded into Advanced Warfare’s world, including civilian smart glass tech and digitized street signs. 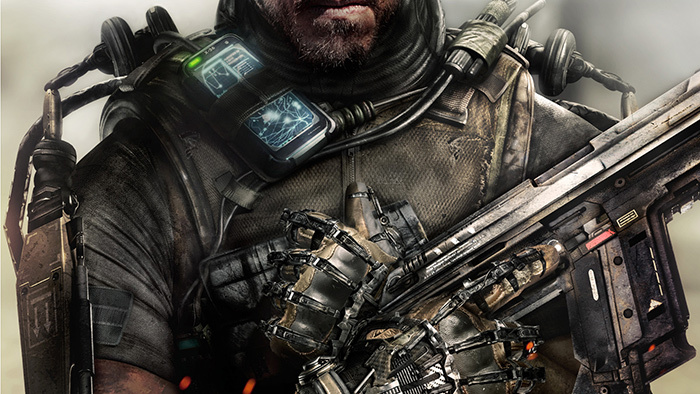 However, the studio still hopes to keep this Call of Duty gritty and grounded in reality which is something fans have come to expect from the series. 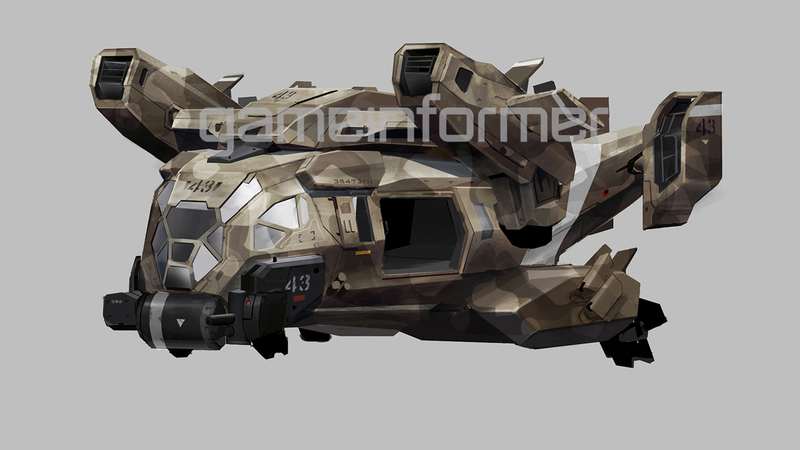 Be sure to check out all the details on Advanced Warfare’s 2054 tech in GameInformer’s write-up. What’s your take on plasma weapons and 3D-printed ammunition? Is it feasible a few decades down the road?